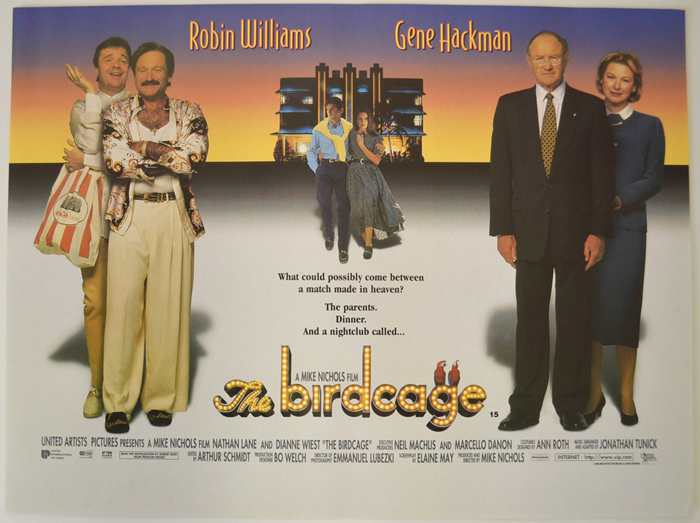 Robin Williams, Gene Hackman, Nathan Lane, Dianne Wiest, Dan Futterman, Calista Flockhart, Hank Azaria, Christine Baranski, Tom McGowan, Grant Heslov, Kirby Mitchell, James Lally. As New (of year of release), Original Mini Quad Poster (12 x 16 inches) Never Displayed. Stored Flat since year of release.